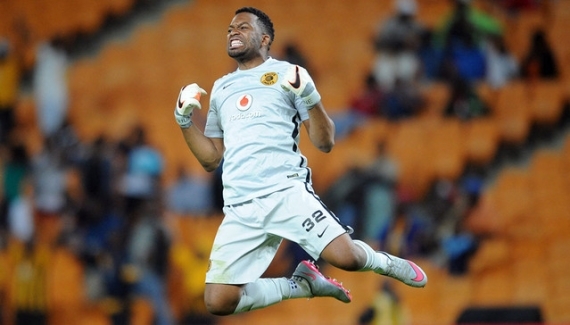 Kaizer Chiefs have received a major boost ahead of the New Year after goalkeeper Itumeleng Khune returned for training on Monday. Khune has been out of action for almost two months after suffering a knee injury at training a few days before his side’s Telkom Knockout semi-final game against Orlando Pirates. The Bafana Bafana goalkeeper was also forced to miss the TKO final against Mamelodi Sundowns earlier this month, as well as Amakhosi’s final league encounter against Bidbest Wits. Chiefs will start 2016 with a clash against log leaders Mamelodi Sundowns at the FNB Stadium on January 9, currently sitting fourth in the PSL standings, five points adrift of Downs. Teko Modise is ecstatic that he is starting to accumulate trophies after a career during which he won numerous individual accolades but missed out on League and cup success with his various teams. 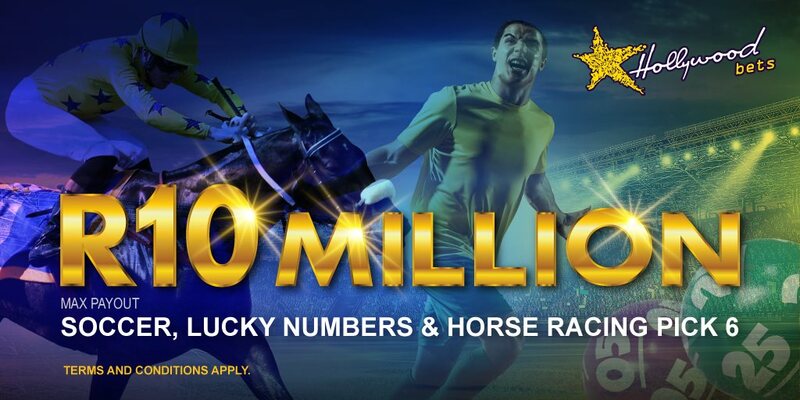 This past year has changed that, as the midfielder has helped Mamelodi Sundowns win two knockout cup trophies in space of eight months to add to the championship medal he won with The Brazilians in 2014. Modise was less fortunate earlier in his career. After making his belated breakthrough at SuperSport United, he secured a big move to Orlando Pirates in 2007 – and missed out as Gavin Hunt’s side won three League titles on the spin in 2007/08, 2008/09 and 2009/10. 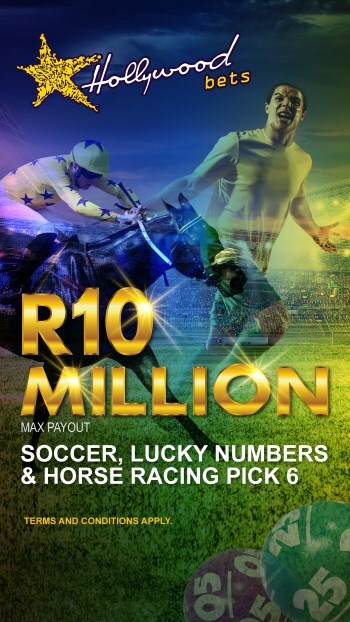 At Pirates, Modise was part of an exciting team that failed to deliver when it really mattered, but after he left the Buccaneers midway through 2010/11 season, Pirates promptly won the treble – and then repeated the trophy hat-trick the following season. 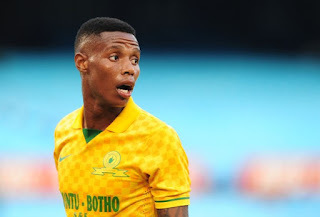 Modise achieved his first significant winner’s medal when Sundowns won the Absa Premiership in 2013/14; and in 2015 he has added the Nedbank Cup and the Telkom Knockout trophy. “It's coming at the right time for me and I'm grateful for whatever I'm achieving right now,” an excited and relieved Modise says. “But I need to achieve more – there are so many players in the PSL that have achieved more than I have, so I need to work harder. For me it’s never enough and I need to improve on my game and the team as well ... we need to improve.” The 33-year-old former Bafana Bafana star is determined to hang at least one more medal around his neck before the end of this season as League leaders Sundowns attack on three fronts, attempting to reclaim the Premiership title from Kaizer Chiefs, retain the Nedbank Cup and also make an impact in the CAF Champions League. Modise and his teammates will be back in action on January 9 when Sundowns take on Chiefs at Soccer City. Kaizer Chiefs coach Steve Komphela is avoiding newspapers and websites these days – he does not want to “read what has been said in the media about me”. “You don’t want to read what is being said about you for the fear of knowing you don’t want to know about yourself – not that you didn’t know, you knew – but for the fact that it is said in the manner that is reckless," he says. “It is discouraging, but we shall never be discouraged.” Komphela has lost just one League match and reached two cup finals since he took over at Naturena – unfortunately for him, both cup finals were lost, and the League defeat was against bitter rivals Orlando Pirates. “It’s not easy to be in the situation I’m in,” he admits. “There was a big question; ‘why aren’t these clubs coached by our locals?’ and they gave me the opportunity. “If you’re not designed for the system as it fails you, and as you failed it, you cannot complain; until you fit the square you shall forever remain the rectangle,” Komphela reasons. “My only source of inspiration, strength and guidance is along the lines that it is not happening because it is me. It is happening because I represent. The minute you stand and face the fire on behalf of, that is great inspiration.” Komphela and his team will need to muster all their inspiration in the New Year when Chiefs face their Telkom Knockout conquerors Mamelodi Sundowns in the League at Soccer City on 9 January. Kaizer Chiefs may be tempted to sell their star defender Eric Mathoho to a European club, according to a media report. Belgian clubs KV Oostende and Anderlecht have previously shown interest in Mtahoho, and last January a move to Oostende looked a possibility until Chiefs made it clear they did not want to lose their Bafana Bafana centre-back. Now Goal.com quotes a source described as “close to the situation” saying Mathoho “could be moving to Europe next season”. According to the source: “The interest is still there, but as you know Chiefs will have the final say because Tower has a contract with them. If he doesn’t move then he will remain a Chiefs player... he’s happy there.” Last season’s title success was built largely around an excellent defensive record, but since the departure of influential captain Tefu Mashamaite, Chiefs have struggled to find the ideal centre-back partner for Mathoho. So far, no partnership has provided anything like the solidity of last season’s Masha-Matoho combination. It seems certain Amakhosi will be in no mood to part with ‘Tower’ before the end of this season, as they attempt to retain their Absa Premiership title in the face of stiff competition from Mamelodi Sundowns and Bidvest Wits. But, having signed Siyanda Xulu and Daniel Cardoso, and with the promising Lorenzo Gordinho knocking on the door, Chiefs might just consider it worthwhile business to cash in on Tower in the off-season. Mamelodi Sundowns goalkeeper Denis Onyango has given credit to coach Pitso Mosimane for the club's fine form. Sundowns entered the festive break on top of the Absa Premiership table following a 2-0 win over Orlando Pirates on December 20, just four days after beating Kaizer Chiefs 3-1 in the Telkom Knockout Final. Onyango, who saved two penalties in the TKO decider, says Mosimane's work-ethic is an inspiration to the team. "He has the passion for the game and you can see that he never sits down when he's on the sideline," Onyango is quoted as saying by News24. "He gets the balance between football and his family because our families support us through tough times and good times. "He does give us some time off to be with our families when we go through those tough times. "But when it's time for work he wants everyone to work full-time. "So I believe the positive impact he has on the players is why we are doing so well this year." The Brazilians will look for a seventh straight victory when they resume their campaign against League champions Chiefs at FNB Stadium on January 9. Mosimane's charges are ahead of Bidvest Wits at the summit on goal difference with 26 points from 12 games - five points more than Amakhosi. South Africa U-23 coach Owen da Gama believes rising star Keagan Dolly is ready to play for Bafana Bafana. Dolly lead the SA U-23s in their qualification for next year's Rio Olympics via a third-place finish at the recent U-23 AFCON in Senegal. The speedy winger capped off his good year with a Telkom Knockout winner's medal when Mamelodi Sundowns ran out 3-1 winners over Kaizer Chiefs in Durban. Da Gama says the talented attacker is ready to graduate to the senior national team. "Keagan has come off age. His emotional intelligence and his maturity has went to another level," he says. "Credit must first go to Sundowns. They brought him back from Ajax and played him back immediately. The coaching he has been getting there has obviously taken him to another level as a player. "Yes, Keagan is ready [for Bafana] but Mkhulu [Shakes Mashaba] will make a final decision on that and we will support him on whatever he believes in. But I think he [Dolly] has gone to another level." Jeremy Brockie feels SuperSport United are slowly playing themselves back into good form, feeling the side is now a more complete unit. Matsatsantsa endured a difficult start to the current campaign, yet are now unbeaten in their last five League matches, beating city rivals University of Pretoria in their last encounter to lift them up to eighth in the PSL standings. A number of new faces arrived in Pretoria at the start of the season, and Brockie, who himself has been at the club for less than a year, feels it has taken time for the players to gel with each other. “When you look at our squad, we have some very experienced and talented players, and I just think it took a bit of time for us to gel together,” he said. “We had a good Cup run going, and now we’ve gone to or three games unbeaten in the league, so we are slowly starting to find a bit of form. “But we need to carry it on now and keep picking up maximum points, otherwise the teams at the top of the table will get too far ahead.” The New Zealand forward feels the understanding between the players has vastly improved, and is confident of a good run in the second half of the campaign. “The understanding of the players has become a bit more fluid now – that’s probably what it boiled down to, and when you’ve got a talented squad like we do, it’s only a matter of time before we start getting wins because the experience pulls through,” he says. “So hopefully now that we're back on track, we can start moving up the table.” SuperSport will start 2016 with a fixture against bottom-placed Maritzburg United on 10 January. Mamelodi Sundowns have rejected an offer for Rheece Evans from his former club Maritzburg United. Evans has barely played for Downs since his arrival from Maritzburg in June 2014. The 25-year-old only managed 44 minutes of League action last season, while he is yet to feature this term. However, Downs were unwilling to offload the fullback to the Absa Premiership strugglers. "We wanted him. 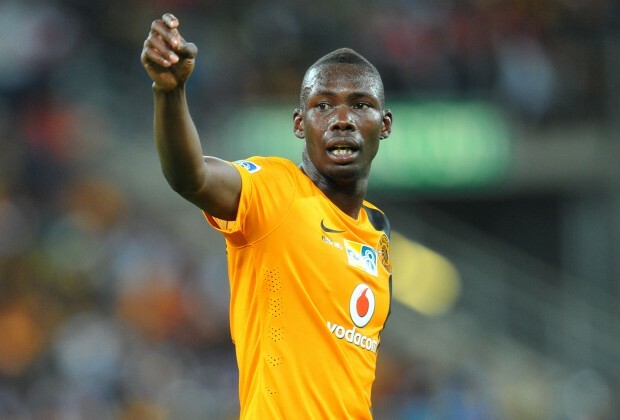 Sundowns are playing in CAF and want to use him," United boss Farouk Kadodia said. Evans nearly joined Ajax Cape Town in the off-season but a prospective deal fell through. Mamelodi Sundowns midfielder Bongani Zungu feels that he has performed well so far this season, but his game still has room for improvement. The 23-year-old has received many plaudits following a number of impressive displays thus far this campaign, yet the midfielder refuses to let the praise get to his head as he seeks to improve. "You know in football there is always a room for improvement and nobody is perfect,” Zungu said. “I'm not perfect though I'm doing very well - I can see that from my play. "I have grown as a player but there is a lot to improve on. I think I need to be more aggressive in taking shots at goal and in time I will be good." Downs are currently on top of the log table, having defeated two Soweto Giants in one week before the festive break; one in the cup final and the other in the league which saw them leapfrog League rivals Bidvest Wits, and Zungu believes he is part of one of the strongest Sundowns teams in recent years. "I can say this is the best side (I’ve been part of), and Sundowns has been around for long time," he says. “We are trying to become the best,” he continues. “We want to create a legacy, trying to be the team that creates history by winning cups and in time, if we keep on, we will succeed." Pitso Mosimane's side will resume their League campaign on 9 January with another glamorous fixture against Kaizer Chiefs at FNB stadium. 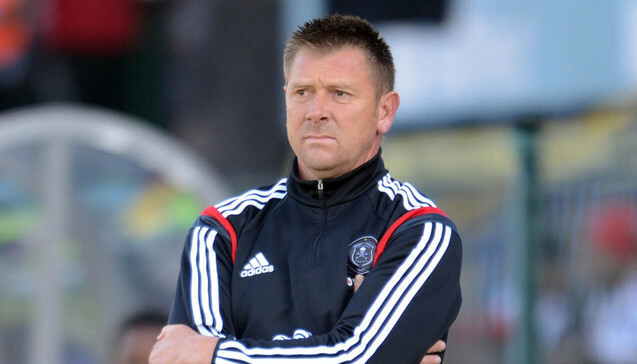 Orlando Pirates coach Eric Tinkler says he has not had a meeting with the club to suggest he is on his way out. Tinkler has been under immense pressure with his duties as coach, with some media reports suggesting he could be out a job in the new year. However the former Bafana Bafana midfielder has downplayed such talk, saying life has continued as normal at the Soweto club. "I had no meeting with anybody at the club, except the normal technical meetings we sit in as preparations for our training sessions and our games,” said Tinkler. "Life has gone as normal,” he added. The Bucs have won just two of their last seven matches in all competitions as they sit 13th in the Absa Premiership standings, 15 points adrift of joint leaders Mamelodi Sundowns and Bidvest Wits with two games in hand. Ajax Cape Town coach Roger De Sa feels new Ghanaian defender Lawrence Lartey is a major coop for the Cape side, though he is till eyeing further replacements at the back. The Urban Warriors confirmed the new signing last month, having first eyed the former Ashanti Gold defender while Muhsin Ertugral was still in charge, and De Sa feels he will be a “massive” addition to the Ajax squad, especially ahead of next year’s travels through Africa. “It’s taken two years really, but we are glad to have him,” De Sa said. “I think he’s a massive addition to our team. He comes in in an area where we probably do need cover and he’s got the experience to take us into Africa next year as well, which we need.” De Sa is impressed with what he’s seen in the 22-year-old so far, but says he is still eyeing further reinforcements at the back. “He’s young, but has a lot of leadership qualities,” he says. “He’s captained the national U-20 and U-23 sides of Ghana, and played in the Ghanaian national team as well. “He’s adapted to our style of play – not just our style, but the South African style of play which is a bit different. He’s enjoying it our here, he’s a good professional and still a young boy, but I find with every training session he steps up a little bit and he improves each time. “You’d probably find he’s not as big as you would expect for a centre-back, but he fits the Ajax mould pretty well. “Though we think we still need someone a bit more physical at the back, I’m sure he’ll fit in very comfortably.” Ajax are still awaiting the Lartey’s work permit, with the defender set to be immediately available thereafter. “As soon as he has his work permit, he’ll definitely be illegible to make the squad, and will be knocking on the door straight away,” De Sa says.